The BayHawks Dance Team is looking for Erie’s best performers. Led by Rachel Gorski, BayHawks dancers have gone on to the professional ranks like the Atlanta Hawks, Cleveland Cavaliers and more! 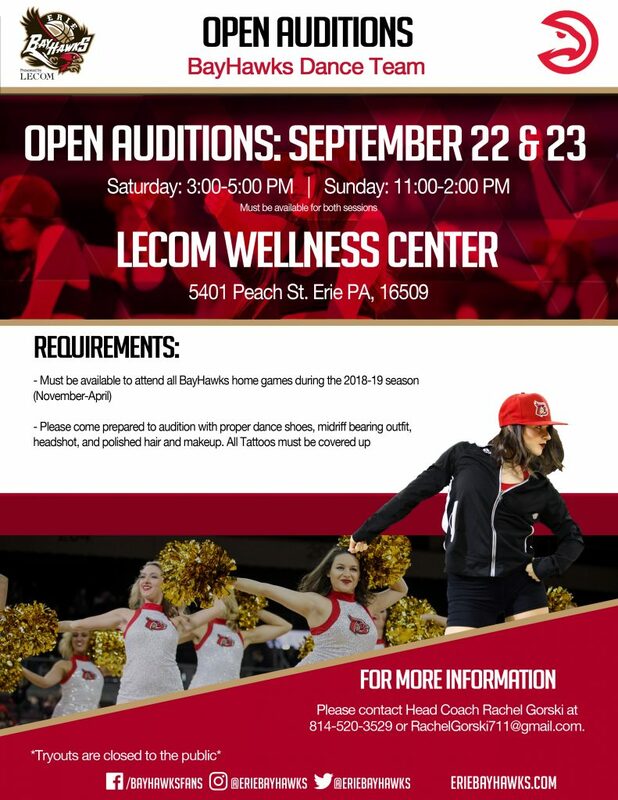 Be one of the next Erie BayHawks Dance Team girls! Auditions take place September 22 and 23. Download to the registration and application below. Please fill out application and bring to day of audition.